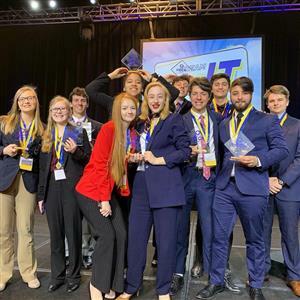 The School-Based Enterprise at Parkview High School was among the 483 school-based enterprises in the United States and to achieve Gold Level Certification (or Gold Level Re-certification) this year. 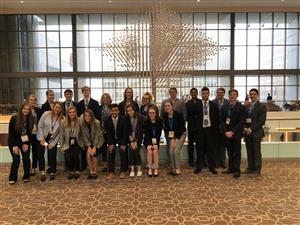 The SBEs will be recognized at DECA’s International Career Development Conference in Orlando, FL. The students who worked on the certification for Parkview were Marra Holt and Collin Miller, with the assistance of their advisor Dede Moore. The school-based enterprise at Parkview High School, The Viking Venue, has operated for 15 years. 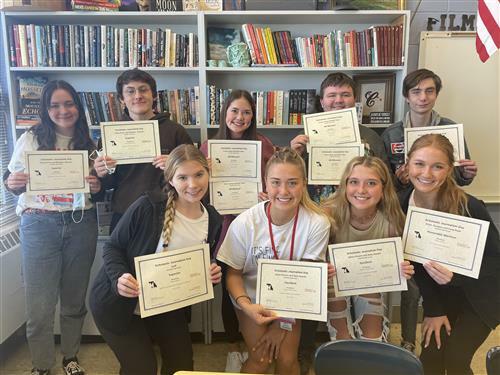 The Nest, a school-based enterprise at Glendale High School, was among 483 school-based enterprises (SBEs) in the United States to achieve Gold Level certification or re-certification) this year. 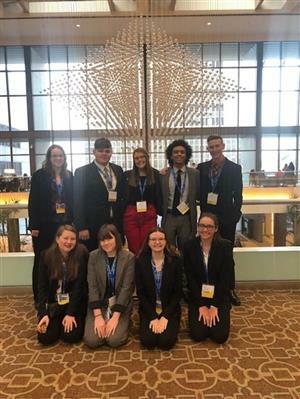 The Nest and other SBEs will be recognized at DECA’s International Career Development Conference in Orlando this month. The Nest is a retail business located inside GHS which has sold GHS t-shirts and spirit wear for 10 years. Students Abbey Hirsch and Ireland Wead, with the assistance of adviser Aundrea Hill, help manage The Nest. A school-based enterprise is an entrepreneurial operation in a school setting that provides goods and services to meet the needs of the market. SBEs are managed and operated by students as hands-on, learning laboratories that integrate national curriculum standards in marketing, finance, hospitality and management. SBEs are certified at three levels: bronze, silver or gold. In order to apply for the certification, SBEs must submit extensive documentation that demonstrates their adherence to various marketing and retail standards. After the documentation submission, a review committee determines which level of certification is achieved.